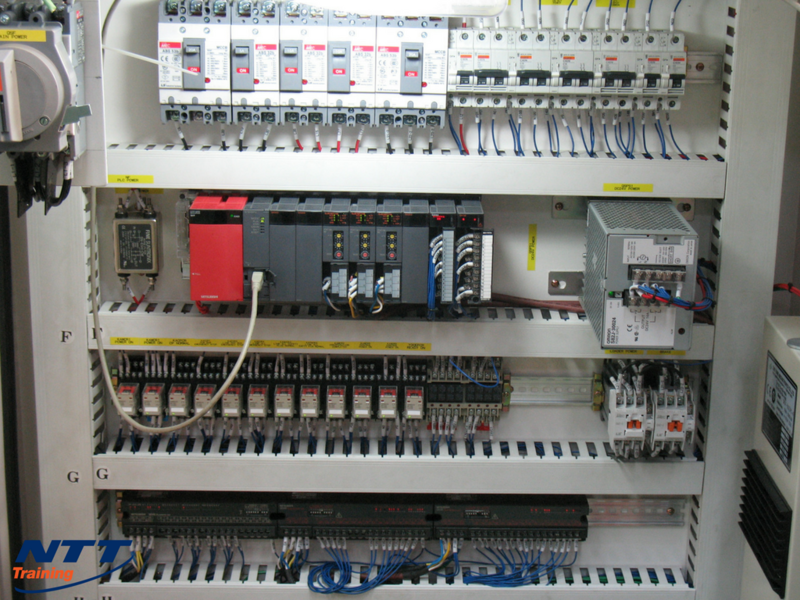 Programmable logic controllers or rather, PLCs, have been a fundamental part of the factory automation and industrial processes for decades. The PLCs were originally developed in response to the need for a more efficient industrial process, in addition to streamlining the overall process without needing to start afresh in case of a mechanical breakdown or change. Essentially, PLCs are devices that are designed to take away the work of manual re-wiring or re-developing processes and facilitate automation in all processes, therefore, allowing work to be done quickly. Aside from that, the PLCs have taken away the burden of workers performing repetitive tasks. PLCs control an extensive array of applications. From simple lighting function, complex environmental systems or industrial processing plants, the PLCs serve different functions and provide variety in the digital and analog input and output interfaces. Other valuable services that the automated systems offer include data conversion, signal processing, and several communication protocols. The entire PLC functionality revolves around the controller that is usually programmed for a specific function. Any PLC module should be sufficiently configurable and flexible so that it can meet the demands of the different application and industries. A PLC can be viewed as a specialized computer that can control machines and equipment. A PLC shares the same attributes, terms, and definitions of a normal computer. However, unlike the normal computer, it`s meant to survive in a rugged atmosphere and is more flexible with regards to its interaction with other output and input devices in the real world. Whether it`s a factory with a lot of mechanical vibration, loud noise, dust, heat, moisture or even condensation, PLC is designed to deal with conditions that are inhospitable to more sensitive equipment and humans. The CPU has different operating modes that perform different tasks. For example, in programming mode, the PLC accepts the downloaded logic from a PC. On the other hand, when the PLC is in the run mode, it executes the program and runs the program. The stimuli that are received from the sensors are in the form of voltage or current. The PLC must then accurately interpret and convert the stimulus for the CPU. For higher integration purposes, PLCs have I/O channels in numerous form factors. The I/O system provides the connection between the PLC and the external equipment. By incorporating the right I/O features in a PLC, a factory can reduce the overall system footprint and power demands. PLCs are among the commonly overlooked safety and reliability features that affect the entire industry. While some of the employees tend to think that the PLC is to blame for industry failure; PLCs themselves are not the fault since they are highly reliable devices, but rather, it`s how your employees handle the system that makes the system less reliable. A PLC can be likened to a car`s engine. In the event the engine fails, the whole car comes to a halt. However, unlike an engine, the PLC does not fail as an independent unit; the PLC is wired to more than one machine, and in case the PLC fails, it can cause damage to all the machines connected to it. Another difference is that an engine failure may cost you a couple of hundred bucks at most, however, with the PLC, the damaged machines can set the firm back by thousands or millions of dollars for repair or even replacement. But most importantly is the fact that unlike a car`s engine which will probably affect a single person (car owner), the machine controlled by PLC can affect the reliability and safety of many machines and many people. The four main causes of safety and reliability risks associated with PLCs are lack of training, lack of policies and procedures, complacency, and lack of security. In addition, because technology in manufacturing is evolving as fast as the computer industry, textbook training alone is not enough to equip your employees with the necessary skills to work with PLCs. This is why your staff requires constant mentoring, which can be achieved through enrolling them in seminars where they can learn hands-on skills for PLC operation and safety. The seminars will allow your staff to focus on the fundamentals of PLCs such as setting up communication to uploading and downloading of programs. Also, the seminars allow your staff to have insight on some of the basic hardware components of the PLC such as the input and output modules, CPU, and programming devices. Do you wish to learn more about the programmable logic controllers operation? Help keep your employees safe and your equipment running smoothly by connecting with a helpful NTT professional for more information on safety training classes.